Today, Michael Micalizzi, Kevin Morrow and Johnny Ramey join us to discuss ther roles in Center Stage's newest play The Whipping Man. Today, Michael Micalizzi, Kevin Morrow and Johnny Ramey join us to discuss ther roles in Center Stage’s newest play The Whipping Man. 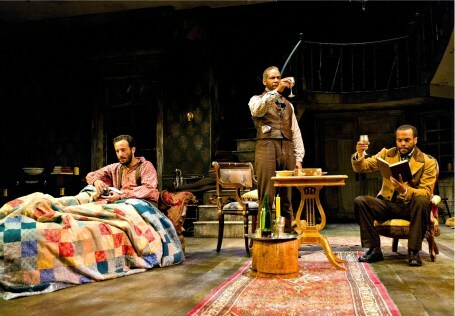 The Whipping Man, which opened on April 4th will run at Center Stage through May 13th.